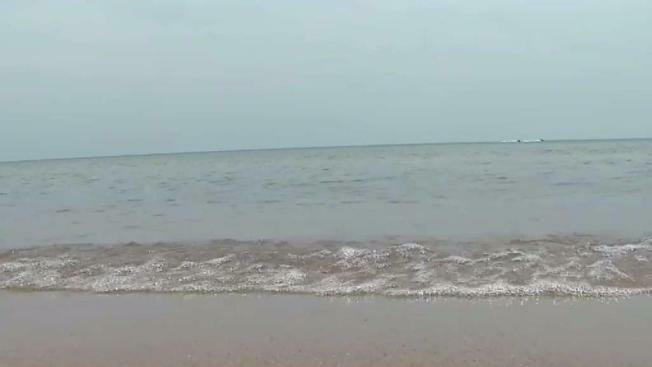 After a woman witnessed a 13-year-old girl drowning in Lake Michigan, she's looking to prevent a similar tragedy from happening again. NBC 5's Lexi Sutter reports. A mother who witnessed the drowning death of a 13-year-old girl at a Rogers Park beach last week is trying to help another family from experiencing that pain. Kathy McGroarty-Torres, who was on the shore at Loyola Beach on Friday when 13-year-old Darihanne Torres was swept away by the current in Lake Michigan, has started a petition to request extended lifeguard hours, more warning signs, and water safety training for police officers. No lifeguards were on duty when Torres and another girl were swept up by the current. Police officers and other beach-goers waded in to help, but the young girl later died at an area hospital. “More police cars were arriving one after another, but we still weren’t seeing any life-saving equipment,” McGroarty-Torres said. The petition to change policies has been signed by more than 1100 people, and McGroarty-Torres hopes it will spur a serious conversation, because she never wants to witness a scene like the one she saw Friday again.